The fast rising Nigerian talented Afro – Dance hall artiste, MATURE, who fondly calls himself “MUSEMAN” which describes his musical versatility. 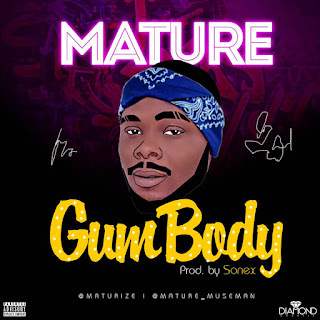 After a successful release of his previous single CONDO which got alot of airplay and massive patronage from fans all over the country, MATURE is not relenting as he releases another breathtaking single titled “GUM BODY” to keep his fans dancing this festive season. This amazing song was produced, mixed and mastered by Sunnexbeatz. DOWNLOAD, LISTEN & SHARE GOOD MUSIC!!! !